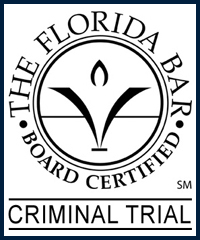 Lakeland Misdemeanor Crime Defense Attorney - Lawyer, Providing Professional Misdemeanor Criminal Defense Attorney legal services for Lakeland, Winter Haven, Bartow, Polk County, and the surrounding Central Florida area. Call 863.660.2185 to Speak with Lakeland Misdemeanor Criminal Defense Attorney / Lawyer, Joshua E. Schoen. While misdemeanor crimes are considered criminal offenses which are less serious than that of felony crimes, any misdemeanor conviction carries the potential of jail time, fines, other court order penalties or mandatory programs, and a permanent criminal record. A criminal record can interfere with various aspects of your immediate, short term or long-term life choices and goals. From housing issues, to educational opportunities, job opportunities, or even your ability to legally operate an automobile. Any situation in which you must disclose your prior criminal history, or when a criminal background check is conducted, a criminal record has the potential of standing in your way. Protect your rights by seeking the legal advice and representation of an experienced Lakeland Misdemeanor Criminal Defense Attorney / Lawyer. Contact Lakeland Misdemeanor Criminal Defense Attorney / Lawyer Joshua E. Schoen at 863.660.2185 in the Lakeland, Winter Haven, Bartow, Polk County, and the surrounding Central Florida area.